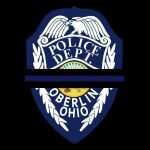 The City of Oberlin is, from time to time, looking for service oriented individuals interested in the rewarding field of law enforcement. Located 34 miles southwest of Cleveland, Oberlin is a city with a population of approximately 8,331 which includes approximately 3,000 Oberlin College students. The city is economically and racially diverse as 27% of the population is made up of minority residents. Located in Oberlin is the world class Allen Memorial Art Museum, Mercy Allen Medical Center, FAA Air Traffic Control Center, Firelands Association for the Visual Arts, Boys & Girls Club of Lorain County, Metro Parks Aquatic Facility, the Oberlin Municipal Court, historic downtown and industrial park. *Salary based off current union bargaining agreement contract as of 1/1/2018. Patrol officers “top out” after four years. Please view the Ohio SERB website for information regarding current OPBA Union contracts. Oberlin is a drug free workplace and an equal opportunity employer. To view current employment opportunities click here.